Pastor Hal Mayer is available for speaking appointments, usually several months in advance. You can email Pastor Mayer at hmayer@ktfministry.org. He will be glad to arrange a weekend meeting for you. You can also call our office at 540-672-3553. 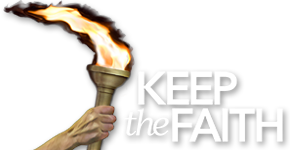 Pastor Diego Silva is also a Keep The Faith associate speaker, especially for Latin America. He lives in Brazil and is involved in full time educational work. Therefore he is limited in the amount of meetings he can handle. If you are interested in booking him for a US appointment please let us know at info@ktfministry.org and we will try to arrange it with him for a time when he is in the USA. He can also be booked for Latin American countries through our office. He speaks Portuguese, Spanish and English fluently.